Universal micro-processor controlled battery charger with multi-stage charging cycle. 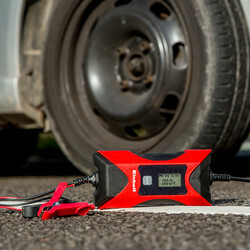 Suitable for all standard 6V/12V vehicle batteries (3 - 120Ah). Trickle charge function does not harm the battery being charged and prolongs battery life, particularly on seasonal vehicles. 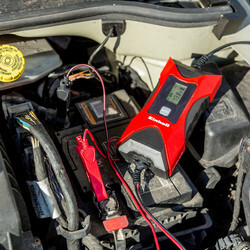 Over-discharged batteries can be restored with the rescue function. Over-charge, short circuit and reverse polarity protection. 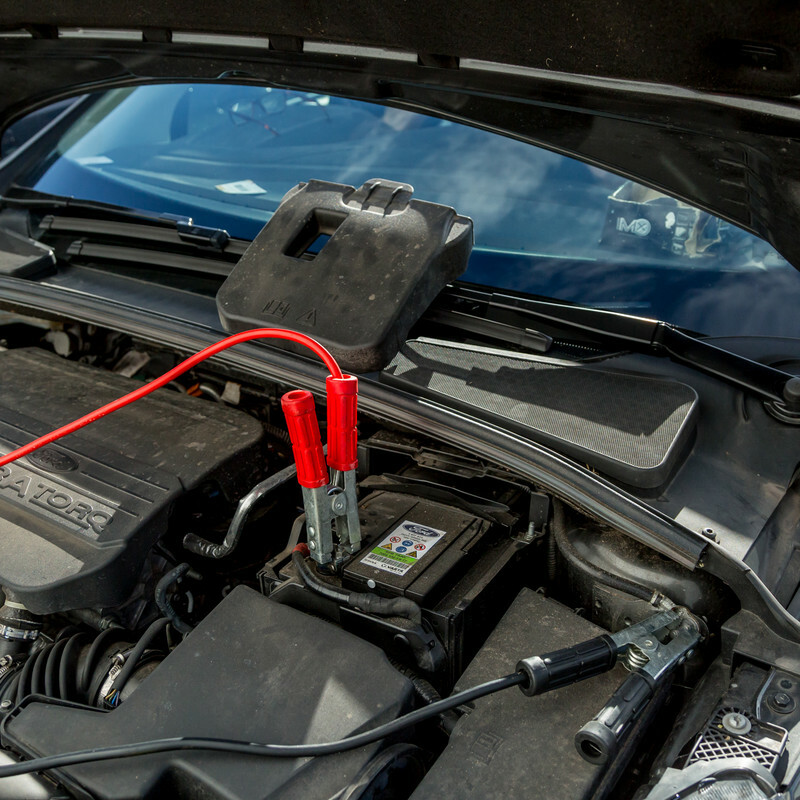 The unit also comes with fully insulated terminal clamps. 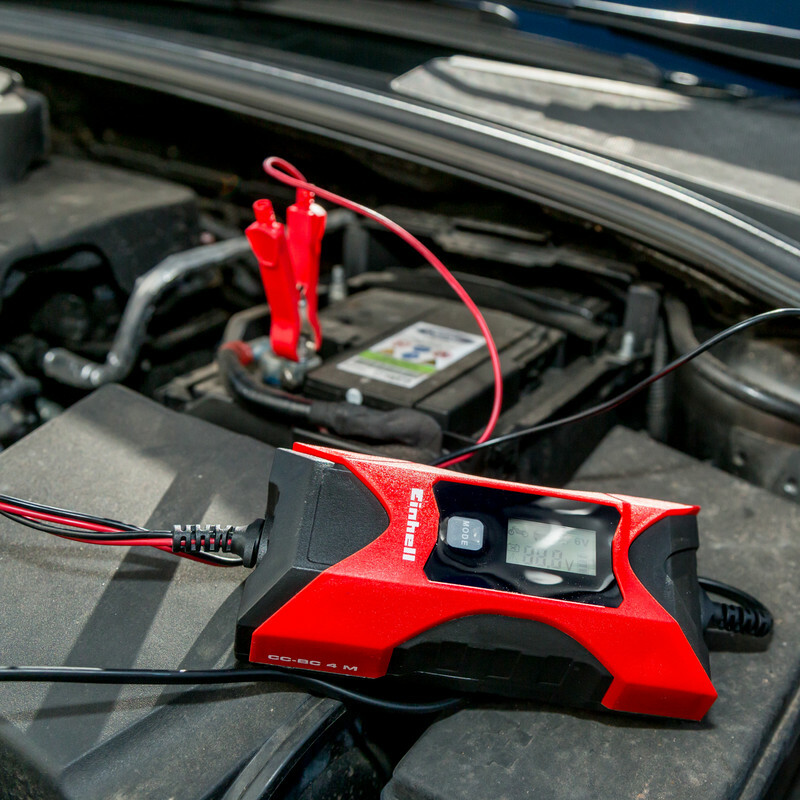 Einhell CC BC4M Battery Charger is rated 4.4 out of 5 by 10. 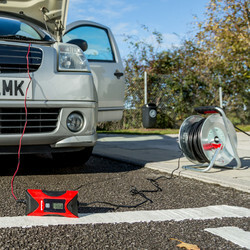 Rated 4 out of 5 by AndrewG from Works well It charged my battery quite quickly. The clips are not bad but could be better. 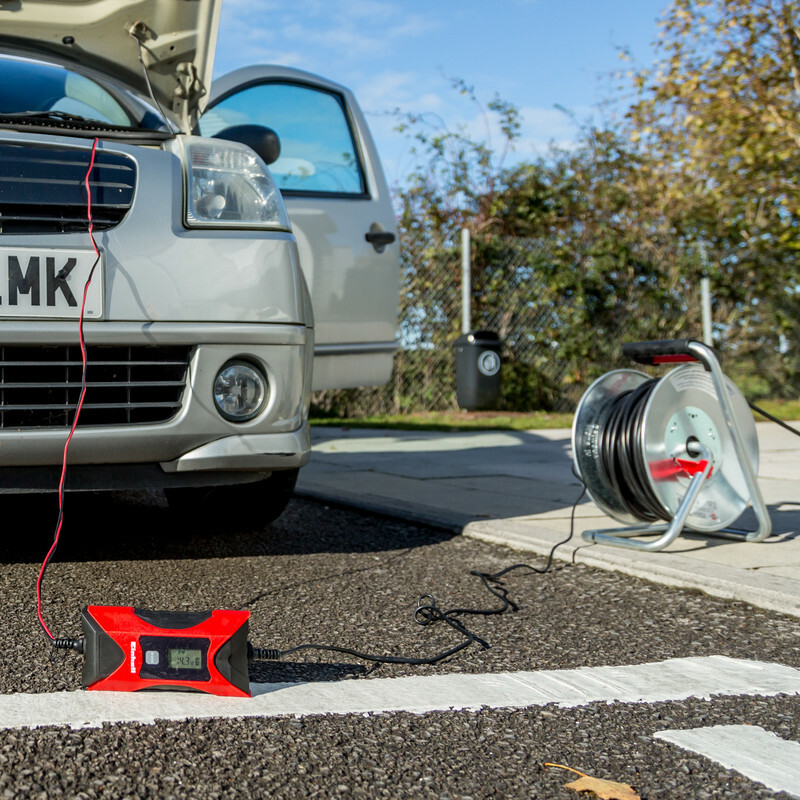 Rated 5 out of 5 by Mr Moo from Competitive price and service Great device for charging and reviving car and bike batteries. I like the display and simplicity of control. The device is small enough to carry in your pocket (large). Its well made and robust. 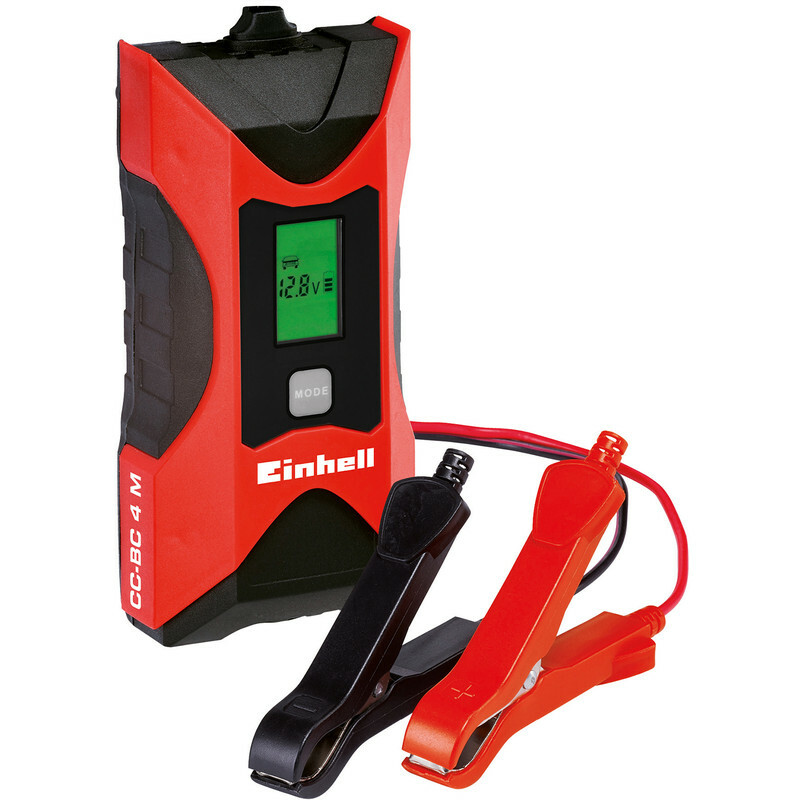 Rated 5 out of 5 by AlunC from Einhell CC BC4M Battery Charger Fast next day delivery. Recharged a totally dead battery overnight. Car now up and running. 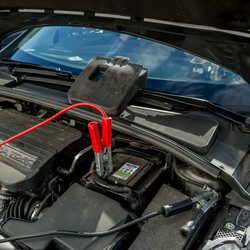 Rated 5 out of 5 by Pete73 from Ideal and Compact I bought this this a month ago to bring my car battery back up to parr. I don't use the car that often, it stands outside and I don't do long journeys that often. That's a recipe for gradual discharge culminating in sluggish crank over. The Einhell CC BC4M brought it back to life. It's nice and compact with an easy read display. Includes different charge options with cold weather charging and that's usually when you need it. In all, I'm well pleased. 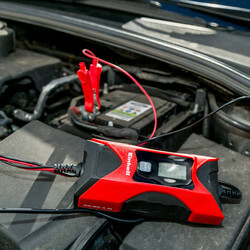 Rated 4 out of 5 by Clive W from Good Battery Charger Bought this recently to replace faulty charger. This has many features and the LCD screen is particularly useful.